Still probably won't participate for lack of time. 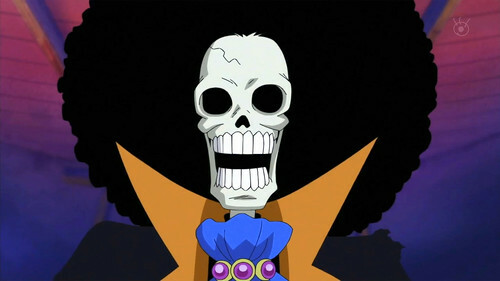 @ Mrmo: Brook from One Piece? Also, I love the way you dither with the small circles. @ a3um: Awesome....frog? Although I think you need to go all out with the afro and really make it big and round. I thought that too based on a google search but it's definitely an afro, and it's always called an afro in the show. But, must just be a funny coincidence. Although you really should watch the rest, I'm near 400 myself and Brook only just came into the series though. @ Graindolium: Do I see bush?! Who doesn't use brushes, duhh. Its not like it's illegal, lol! I'm pretty sure it's deep-one Art Garfunkel. o my god thats amazing! You guys do know that afros make you a lil' nutty, right?! It needs a lot of fixing up, but ughh... Got tons of time left atleast. Thinking of giving him an acoustic guitar, thoughts? Behold, the chocoafro muffin! It needs a face. I wish the canvas were a tad larger, I want to give him some feet. Should be a muffro. Then again, that may suggest something else. Muffro definitely sounds like something quite different. How about "the chocolafro muffin", or just "chocolafro"? No, not quite right either. Faced my fears and added some texture to the hair. Anything I can improve? @Chibiwing - scatter the highlights more throughout the hair. @Mrmo - For your second guy - the face is looking great, but the hair is very lacking. I know it sounds like a bit of a cop out, but perhaps try making his hair a solid colour. Also, regarding contrast, you could use different color ramps for the hair and the face! Or alternatively, you could hueshift the highlights (or shadows) (or both). This is a bit rough but taking shape. Does an Afro need to be round? I think he's looking more like Mozart Elvis - needs a white fro and a piano maybe... Headband and round fro I reckon. Jeebus Graindolium! How many entries are you making? I was trying to solve the shading problem of shirt and hair. The hair need to be look more like afro than simple. Did you give up this design? She's got a great pose and there's glitter coming out of her 'fro! It would really be a shame if you don't finish it. @Gavralcraw: Thanks! :) But guys, please stop calling it a muffro, it's giving me disturbing visions. What do you think so far hmm? Its called "Definitely Not A Seventies Robot Spy"
I know it's basically the same muffin, but I wanted to try animating it. I would really appreciate some tips on how to make smooth animations, 'cos it's my very first time animating stuff.